On a sunny day, late afternoon two chess players were paired up in the round 5 of Chicago Open. They were both, about the same age, skill and rating level. No wonder the game ended in a draw. They both were trained by the same instructors, read similar books and spend about the same time mastering the game. They were both ambitious and dreamed big. A few years later these men returned to play in the Chicago Open once again. They were still very much alike. But there was a difference. One played in the under 1600 section. The other one played in the Open and had a title of a Grandmaster. Have you ever wondered what makes this kind of difference? It’s NOT that one person wants success more than others, possesses superhuman skills or insanely high IQ. The core difference lies in the chess understanding and strategic thinking. Correctly planning the game is the KEY element of success. It is one of the most important and difficult skills to possess. This is also where 95% of club players struggle. Often, they don’t know what to play and simply trust their gut. By having no concrete objective, they simply push pieces and assume that things would work out… Chess players who base their play on assumptions get disappointed the most. That’s not the way to go… Especially if you want to win games. The best approach is to have a planned and a well-calculated victory. 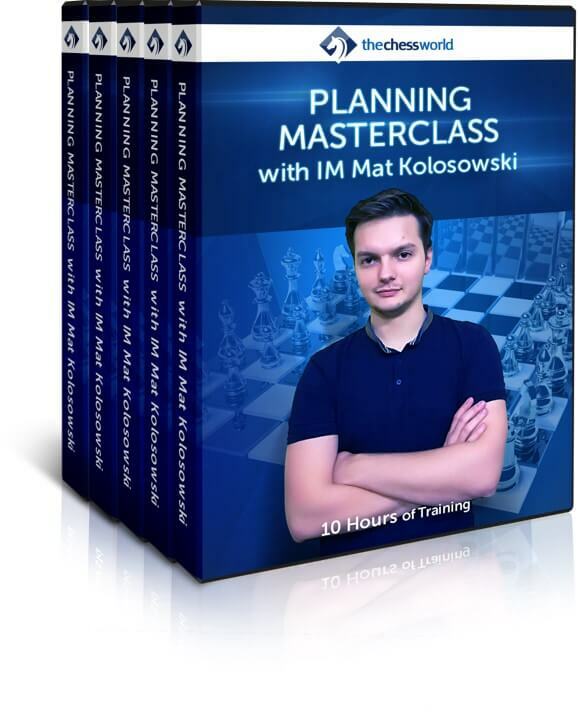 Planning Masterclass with IM Mat Kolosovski gives you a clear blueprint for achieving a favorable position and turning it into a win. IM Kolosowski combines two decades of his own experienced with the wisdom of his coaches and some of the strongest players to deliver one of the most complete, and up to date courses on Planning. The course is broken down into 3 parts and 20 chapters covering the 3 main elements of planning: weaknesses, pieces, and prophylaxis. IM Kolosowski provides you with a very powerful 3-step system that will help you find targets, do the planning and even significantly limit your opponent’s counter-play! After finishing the course and practical sections you will be able to easily construct a sound plan and flawlessly follow up winning the game. In this 20-lesson, 10-hour masterclass we are going to take your game planning skills to the next level. You will learn specific and very effective methods that professional chess players use to achieve a winning position. Train your "planning muscle" with a set of specifically designed tasks and challenges. Practical part is an important element of the course. Watch IM Koilosowski taking his games to positional route and demolishing his competition with ideas, principles, and plans demonstrated in the course. See the "planning system" in action! This extra video will help you see how everything works together! The downloadable summary of the key points covered in the course for quick reference and reviewing. Use it as a quick refresher after studying the course or print it and pin it on the wall. Instant download of 2 hand-picked mystery courses on Positional chess. Let those GMs and IMs help you discover the secrets of positional understanding and planning. Great supplement for the Planning Masterclass! Available to the first 100 buyers only! Train the important tactical and tactical motifs with a set of specifically designed tasks and challenges. Practical part is an important element of the course. Just the Video Course - but still great! Mat Kołosowski is an International Master from Poland. He is a multiple Polish youth championship medalist. In 2010 he took 5th place in European U-18 Championship. During the course of his chess career Mat won many international tournaments. Apart from being a player he is also a chess coach who has experience in working with students from more than 20 countries. So far he helped a few of them in obtaining their own international titles. 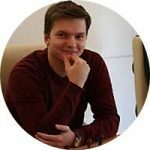 Mat has also performed live commentary of Polish and European Rapid and Blitz Championships. Is it a physical DVD or a digital download? The video is an instant download. The endgame practicum is accessed via the secure area on the server. 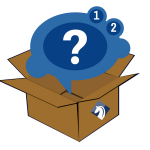 What package should I get? Combination of the video course with the endgame practicum will lead to faster results. If budget is an issue, the video by itself is also great. I have another question to ask you. If you have another question about this chess course, feel free to contact me.